MELVILLE, N.Y. (August 24, 2011) – Today, Nikon Inc. announced the new COOLPIX P7100, the digital camera that packs stellar image quality, swift performance and a variety of creative manual controls into a compact, lightweight camera body. The 10.1-megapixel COOLPIX P7100 is the ideal camera that advanced photographers will seek as a companion to their D-SLR camera when both portability and superior image quality are a necessity. The new COOLPIX P7100 easily assumes the role as the new COOLPIX flagship by delivering amazing image quality, stunning High Definition (HD) movies and high speed performance to create an appealing package for professionals and enthusiasts alike. With an overall emphasis on image quality, consumers can expect rapid response in all aspects of camera operation, which also encompasses a new enhanced AF system for tack-sharp images in a variety of lighting conditions. Whether shooting landscapes or action, users have full creative control with the new 3.0-inch tilting vari-angle LCD screen, full manual features and new Special Effects that add a new dimension to images. With the aid of Nikon core technologies and distinctive new features and controls, the COOLPIX P7100 digital camera shifts image quality and performance into overdrive. Stunning image quality is a hallmark of Nikon products, and the COOLPIX P7100 includes a number of Nikon core technologies such as the high speed EXPEED C2TM image processing engine that is designed to deliver stunning results in diverse situations. New image processing technologies maximize the performance of the large 1/1.7-inch, 10.1-megapixel CCD sensor to deliver sharp, low-noise images that explode with vivid color. By expanding the capabilities of the large CCD sensor, images show reduced noise at both low and high ISO sensitivities. The result is a new level of clean, tonal depth to images, creating an enhanced sense of dimension to any subject and amazingly faithful color reproduction. Building upon a legacy befitting a world class optics manufacturer, the camera comes equipped with a versatile 7.1x Wide Angle Optical Zoom-NIKKOR ED glass lens (35mm equivalent to 28-200mm). Additionally, a built-in Neutral Density (ND) filter expands the exposure selection range when shooting in slow shutter speeds and in maximum aperture settings. The 7.1x Wide Angle Optical Zoom-NIKKOR ED glass lens is constructed with two Extra-Low Dispersion (ED) glass elements to help achieve high reproduction capability with less chromatic aberration when capturing images and videos. Additionally, the COOLPIX P7100 uses optical Vibration Reduction (VR) to produce blur free photos while shooting images or HD video handheld or in low-light. With enhanced high speed performance and quick response, the COOLPIX P7100 can capture decisive moments with confidence. 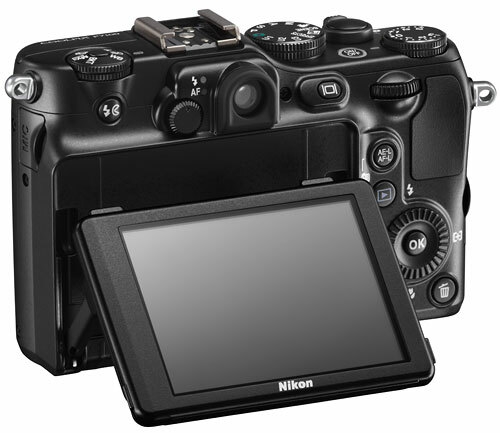 The new Nikon P7100 features a new intuitive user interface that reacts seamlessly for high quality results in the blink of an eye. With blazing fast start-up, imperceptible release lag and enhanced shot to shot buffering, the P7100 promises to be ready at a moment’s notice. Operational workflow speed has been enhanced, such as switching time for various functions including playback, shooting, menu and button operation as well as navigation. The camera can also capture full resolution JPEG images at up to 1.2 frames-per-second (fps), and gives shooters enhanced response when shooting NRW (RAW) images both as a single frame and consecutively. Additionally, the COOLPIX P7100 is compatible with the latest high speed SDXC memory cards for maximum performance. The 7.1x NIKKOR lens has been paired with an enhanced AF system to deliver sharp images and HD movies in a variety of shooting scenarios. Whether tripod mounted to capture a distant vista or shooting a candid portrait, the result is amazingly fast focus acquisition that is consistently sharp throughout the entire focal range, even on a moving subject. Detailed engineering led to the authentic styling of the COOLPIX P7100, which calls upon many of the features that Nikon D-SLR cameras are known for, including easily accessible mode dials, rounded curves and friendly ergonomics, all housed within a compact form factor. Consumers can compose through the bright optical viewfinder or by the vivid 3.0-inch 921,000-dot tilting vari-angle LCD screen. The new tilt screen enables more flexible shooting at creative angles, including down low, overhead or for ease-of-use when mounted on a tripod. The clear color vari-angle LCD display with anti-reflective coating produces high resolution and faithful color reproduction with a wide viewing angle. The camera’s four exposure modes (Program, Shutter, Aperture and Manual) provide creative control over image capture. For added versatility, the COOLPIX P7100 has a sensitivity range up to ISO 3200, but can also be set to Hi 1 at full resolution (ISO 6400 equivalent). The P7100 also offers functions that enable superior rendering when shooting at high sensitivities, including a Low Noise Night Mode and a Noise Reduction Filter. ISO sensitivity ranges from ISO 100 to 6400 (expandable to ISO 12,800 in Low Noise Night Mode) to ensure sharp, crisp images when shooting in low-light or photographing fast-moving subjects. For further creative control, the camera offers multiple new Special Effects and Filter Effects to create truly inspiring images. The new Zoom Exposure automates this typically difficult technique to create dynamic images with a slow shutter. Consumers can also choose the Defocus Filter to produce intentional, artful blur or use the Cross Process to create nostalgic and imaginative color tones in images. A new Creative Monochrome Filter can also be implemented to create a solarized look and feel to images or affect grain size in monochrome photos. Shooters can capture a wide tonal range in their images by utilizing the built-in High Dynamic Range (HDR) function as part of the Backlighting Mode, and can shoot in High/Low Key, Sepia and Painting Modes. While in Playback Mode, images can also be altered with a Fisheye Effect or Cross Screen Filter. The design and interface of the COOLPIX P7100 has been created with the shooter in mind. It boasts two command dials including a new front mounted sub-command dial, which can be used to access settings and adjustments while holding the grip of the camera. The dials provide advance control and a sense of analog operation when using the camera for an enjoyable photographic experience. This control is implemented to simplify various operations using minimal controls. The COOLPIX P7100 also features a quick menu dial on the top of the camera. Through the quick menu dial, controls like ISO sensitivity, White Balance, advanced bracketing functions, My Menu, Picture Control and image size can be swiftly selected to capture desired results. Additionally, the camera’s Zoom Memory function enables the selection of a desired focal length during shooting. For those shooting movies, the COOLPIX P7100 records High Definition (HD) movies at 720p (30 fps) with stereo sound through the built-in microphone. Users can also attach an optional external microphone, such as Nikon’s ME-1 microphone, via the stereo microphone jack. 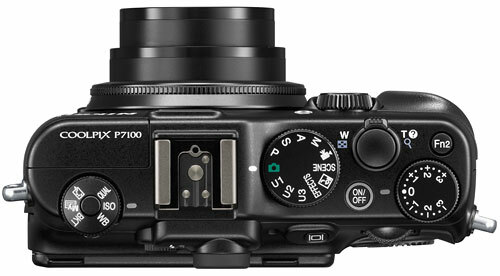 The P7100 also incorporates new movie recording features such as lens zooming during recording, a gain-up function to adjust the optional external microphone and an AE/AF lock available during recording, which is similar to that of a D-SLR camera. Additionally, the camera includes a mini HDMI connector that enables playback on HD televisions and other HDMI-enabled devices. The COOLPIX P7100 can be connected to the optional 0.75x Wide-Angle Convertor WC-E75A, which allows for focal lengths as wide as 21mm (35mm format equivalent). P7100 users can also take advantage of Nikon’s Creative Lighting System with the built-in accessory shoe that supports Nikon’s i-TTL flash control, including compatibility with the SB-400, SB-700 and SB-900 speedlights. 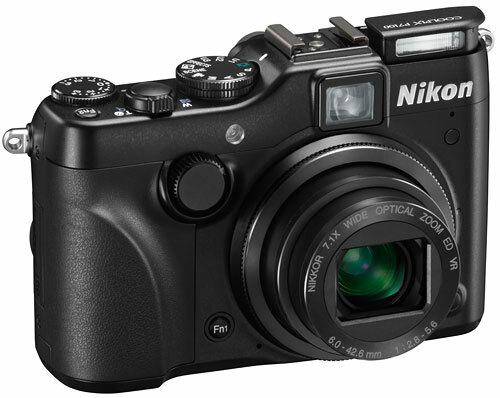 The Nikon COOLPIX P7100 will be available throughout the United States beginning mid September 2011 at an estimated selling price* of US $499.95. For more information, please visit www.nikonusa.com. MELVILLE, N.Y. (August 24, 2011) – Today, Nikon Inc. announced the new COOLPIX AW100, a camera that can stand up to the rigorous expectations of those with an appetite for adventure who demand incredible image quality within a strong, durable body. The waterproof, freeze proof and shockproof COOLPIX AW100 is forged with features for adventure seekers who need amazing image quality and Full High Definition (HD) movie recording to keep pace with their active lifestyle. The COOLPIX AW100’s newly designed rugged chassis is built to withstand harsh environments, yet is compact and lightweight enough to pack for a weekend on the trail. Ready to conquer the rocks, the ice and the waves, the AW100 hosts a myriad of Nikon core technologies aimed at providing stunning images and Full HD 1080p movie recording as well as new GPS technologies for outdoor enthusiasts. The fast and compact AW100 can be used underwater to a depth of 33 feet, is shock resistant from a drop of five feet and weather resistant down to a frigid 14°F. Whether staring in the face of a raging monsoon or kayaking down the rapids, the battery-chamber, SD card slot, HDMI mini connector and USB/audio video connector are securely covered to prevent intrusion from the elements. Because every extra ounce matters when packing for a trek, the COOLPIX AW100 is one of the thinnest and lightest among true water-proof cameras at approximately 0.9-inches thin and 6.3 ounces light. Image quality is what sets the COOLPIX AW100 apart from the pack, and the camera features a 16.0-megapixel backside illuminated (BSI) CMOS sensor for improved picture quality even in challenging low-light conditions. Whether scrambling a cliff face in scorching sunlight or carefully treading underneath a dense jungle canopy, users can confidently capture images in a variety of light. The camera uses a high sensitivity mode to capture the action in low-light and also features a maximum ISO of 3200 for the ability to capture images where lesser cameras do not make the cut. For added versatility, the COOLPIX AW100 also features a 5x Wide Angle Zoom-NIKKOR ED glass lens (35mm equivalent of 28-140mm) to let users shoot wild POV angles and zoom in on the action. When the action starts moving fast, the AW100 helps to create blur free images with the use of Nikon’s Vibration Reduction (VR) to minimize camera shake to capture sharp images and HD movies. The COOLPIX AW100 is born to be extreme and includes features created for the adventurer. The new GPS function and internal map display allow photos to be displayed via location information and saves latitude and longitude information in the image data. Consumers can now shoot and track their route with the included Nikon ViewNX2 software, Nikon’s picture sharing site mypicturetown.com or Google Earth™ to pinpoint the exact orientation at the top of a ski slope or display thumbnails together with a map of the terrain. The camera will also track location while not in use so the user can show an accurate map of their travels up the mountain or kayaking down a river. The AW100 also includes an E-compass, allowing the user to orientate via the LCD screen. The COOLPIX AW100 also features a new Action Control operation, which allows photographers to assign a function to a swinging motion to swiftly select specific settings such as scene mode by simply shaking the camera, avoiding the need to remove gloves in situations like skiing, diving or hiking. The camera has a large 3.0-inch, bright LCD screen with Clear Color Display and anti-reflective coating, providing the ability to see in difficult lighting conditions. Users are also able to mount the camera securely to various mounting systems via the built-in standard tripod mount. Adventure happens fast, and the AW100 is ready to capture Full HD video to document the day’s climb, hike, bike or dive. The COOLPIX AW100 can capture stereo audio and has the ability to optically zoom during video recording. In addition to Full HD, the camera features a dedicated movie-record button enabling fast, one-touch recording on the fly. Creative movie making can happen with slow and fast action recording options; shoot slow-motion movies at 60, 120 and 240 frames-per-second (fps) or capture fast motion movies at 15 fps. The new COOLPIX AW100 also includes Nikon’s EXPEED C2TM image processing engine resulting in enhanced image quality and processing speed. With the high-speed continuous shooting performance of the camera’s CMOS sensor, combined pictures are used for challenging lighting conditions. When HDR controls are accessed in Backlighting Scene Mode, the camera combines consecutive images of different exposure so that a wide tonality is achieved. Additionally, the COOLPIX AW100 includes Easy Auto Mode, which automatically recognizes the shooting situation and adjusts camera settings accordingly for great pictures. The Smart Portrait System incorporates a series of automatic functions including In-Camera Red-Eye Fix™, Face-Priority AF, Face Priority AE, Smile Mode, Blink Warning, Skin Softening and Pet Portrait mode. Additionally, the COOLPIX AW100 comes with the UE-E23, an attachable 40.5mm thread filter mount adapter. The new COOLPIX AW100 is scheduled to be available in early September 2011 and will have an estimated selling price * of $379.95. It will be available in black, blue and a distinctive, highly visible orange. MELVILLE, N.Y. (August 24, 2011) – Today, Nikon Inc. introduced four new digital cameras to the COOLPIX S-Series lineup to address the unique lifestyle and needs of the social user who cares about the quality of the images they take and share. The new COOLPIX S-Series puts the “fun” in functionality by delivering enhanced zoom ranges and new ways to share photos and High Definition (HD) video, while being backed by Nikon core technologies like Vibration Reduction (VR) and EXPEED C2™ digital image processing. Expanding on the ultra compact superzoom category, the new COOLPIX S8200 and COOLPIX S6200 deliver high performance zoom with quality NIKKOR optics, while the new COOLPIX S1200pj offers a unique way to share content with a 20-lumen built-in projector and compatibility with the iPhone®, iPad® or iPod touch®. With an enhanced organic LED (OLED) touch screen and chic design, the trendy COOLPIX S100 is the fun to use, stylish camera to see and be seen with. A hallmark of the COOLPIX brand, Nikon remains a trendsetter with its compact cameras in a number of vibrant colors to match any personal style and budget. The new COOLPIX S8200, COOLPIX S6200, COOLPIX S100 and COOLPIX S1200pj incorporate Nikon’s world-class NIKKOR optics, delivering accurate detail and brilliant color, as well as Nikon’s EXPEED C2™ digital image processing engine to help ensure high-quality pictures with stunning tones and sharpness. Additionally, all four COOLPIX cameras include Scene Auto Selector or Easy Auto Mode, which allows the camera to automatically recognize the shooting situation and adjust camera settings accordingly to produce amazing pictures. To capture flattering portraits, the new S-Series cameras all feature the Nikon exclusive Smart Portrait System, which incorporates a series of automatic functions including In-Camera Red-Eye Fix™, Face-Priority AF, Smile Mode, Blink Warning and Skin Softening to flatter even the most camera-shy subject. Both the new COOLPIX S8200 and COOLPIX S100 include Nikon’s Easy Panorama Mode, which delivers dynamic panorama photos simply with a single press of the shutter button. The new COOLPIX S8200 ups the ante of pocketable super zooms with an impressive 14x Optical Zoom-NIKKOR ED glass lens integrated into a surprisingly compact body (approximately 1.3-inch depth). 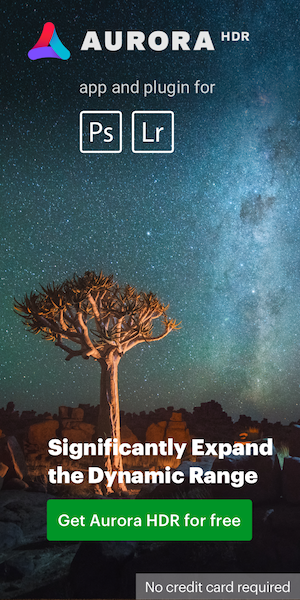 To help capture images in challenging lighting conditions, the COOLPIX S8200 includes a 16.1-megapixel backside illuminated (BSI) CMOS sensor for fast and responsive speed and exceptional low-light performance. The COOLPIX S8200’s speedy performance is accelerated thanks to its high-speed continuous shooting which can capture five shots at up to six frames-per-second (fps) and a pre-shooting cache that records images before releasing the shutter to capture the action faster than a user’s reflexes. From fast-paced action shots to nights out on the town with friends, the COOLPIX S8200 helps to ensure that every moment is captured. Additionally, photos and movies are composed, captured and edited easily on the bright 3.0-inch (921,000-dot) LCD display. For amazing movies even at the spur of the moment, the COOLPIX S8200 features Full HD (1080p) video with stereo sound and amazing optics that lets the user capture with confidence. For even more dynamic movies, consumers have the ability to zoom during recording. To help further unleash creativity, the COOLPIX S8200 has a host of Special Effects (when shooting movies and stills) and Filter Effects (in playback mode for still images), including Selective Color and Fisheye Effect. Rounding out the new superzoom lineup, the COOLPIX S6200 packs a versatile 10x Optical Zoom-NIKKOR ED glass lens in a super slim body (approximately 1-inch depth) for an easy-to-carry, yet stylish solution for capturing memorable images in an instant. Beautiful photos are achieved with the help of the COOLPIX S6200’s 16.0-megapixel resolution and VR system to eliminate blur. With HD (720p) movie recording, a large 2.7-inch LCD display and a selection of Special Effects, creating unforgettable photos and movies is a breeze. The COOLPIX S8200 will be available in mid September 2011 for an estimated selling price*** of $329.95 in a choice of colors including black, silver and red, while the COOLPIX S6200 will be available in mid September 2011 for an estimated selling price*** of $229.95 in red, pink, silver, blue and black. Building off of the award winning innovations from its predecessors, the COOLPIX S1200pj encourages a new level of content sharing with a powerful and brighter 20-lumen built-in projector. For added versatility, the COOLPIX S1200pj works with an iPhone®, iPad® or iPod touch® allowing users to project images and movies stored on these devices as well as online content. In addition, the camera maintains the ability to project content from a computer, such as presentations of multimedia content. The COOLPIX S1200pj also offers improved operability including illuminated icons and raised controls for easier access, even in the dark. Projecting an image up to 60-inches wide, the COOLPIX S1200pj helps make a big impression, whether in front of clients during a business meeting or at the center of a party. The COOLPIX S1200pj includes must-have features to help capture great photos and movies including 14.1-megapixel resolution, 5x Optical Zoom, HD (720p) movie capture with stereo sound and a 3.0-inch LCD screen display to help compose at the touch of a finger. The user can also add their artistic touch to their images with a variety of Special Effects and Filter Effects. Compact enough to slip into a pocket, the COOLPIX S1200pj goes wherever life takes it. 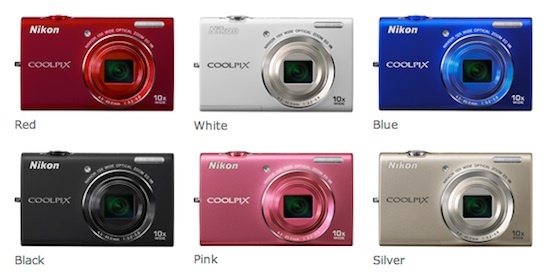 The COOLPIX S1200pj will be available in mid September 2011 for an estimated selling price*** of $429.95 in black and pink. Beauty is now in the hand of the beholder with the stylish COOLPIX S100. The seriously slender COOLPIX S100 has a large 3.5-inch, strikingly bright (820,000-dot) OLED touch screen with an enhanced user interface, so images and movies pop when playing them back. The COOLPIX S100 is a stand-out camera for those who strive to stand out themselves. For the trendsetting user who requires the top technology, the COOLPIX S100 features a 16.0-megapixel BSI CMOS sensor, 5x Optical Zoom and Full HD (1080p) recording with stereo sound for impressive images and movies even in low-light. With the new COOLPIX S100, creativity is at the user’s fingertips. In addition to a wide selection of Filter Effects, the COOLPIX S100 also features 3D-image recording capability, proving that good looks and intelligent features can live together harmoniously. 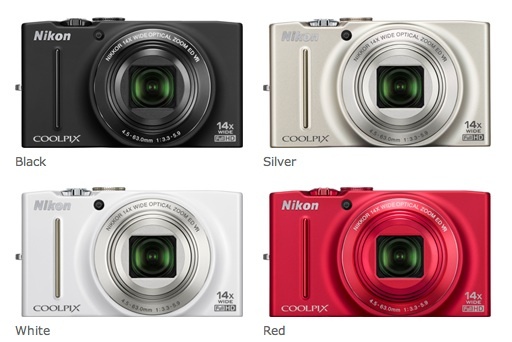 The COOLPIX S100 will be available in mid September 2011 for an estimated selling price*** of $299.95 in a choice of attractive colors including red, black, purple and gold. This entry was posted in Nikon Point and Shoot and tagged Nikon Coolpix AW100, Nikon P7100. Bookmark the permalink. Trackbacks are closed, but you can post a comment.